Located just a few minutes from the Stickney Point Bridge at 7275 S Tamiami Trail, Mattison’s Forty-One is a popular and vibrant Mediterranean/American restaurant with an upscale interior, a rotation of live music from local musicians, and an enticing menu. This restaurant is ideal for a romantic night out while you’re vacationing on Siesta Key or if you’re craving some incredible and expertly prepared creative Mediterranean dishes. You’ll love the food and the service at Mattison’s Forty-One, and they offer a delectable, lunch, dinner and happy hour menu with options that are sure to please. Mattison’s Forty-One is widely known as a top Sarasota region restaurant as a result of their consistent quality and focused service. Led by local celebrity Chef Paul Mattison, the restaurant is one of the few in the area that specializes in authentic Mediterranean cuisine produced with the freshest and highest quality locally sourced ingredients. After graduating from the Culinary Institute of America, Chef Mattison gained extensive experience in cooking for fine dining establishments. He started his career at a top Zagat rated restaurant in Aspen and later moved to Siesta Key and worked as an executive chef for the former Summerhouse Restaurant. You can trust that your meal prepared with the utmost care and exactly to your preferences. You will receive excellent service from the moment you step in the door as many former customers can attest, and you’ll enjoy the comfortable and relaxing formal ambiance of this extraordinary restaurant. Chef Mattison has worked in the restaurant industry for decades and has opened multiple Mattison’s locations throughout the Sarasota region, with the concept being first introduced in September of 2001. Around that time, Mattison’s Forty-One was launched along with Mattison’s City Grille, Mattison’s Bayside at the Van Wezel, and a catering company. Chef Mattison supports local fishermen, farmers and other suppliers by primarily utilizing them to supply his restaurants. As Mattison’s is located just minutes from Siesta Key, you’ll be able to stop by anytime you’re craving some incredible Mediterranean food. Choose from favorites like crab cakes, Mediterranean ceviche, tuna tartare, calamari, meatballs, duck confit flatbread, seafood paella, and even a few American traditional entrees like burgers, fried grouper and pot roast. Mattison’s Forty-One has one of the longest happy hours of any restaurant anywhere in the Siesta Key area along with a sunset menu that is available from 4:30 to 6:00 P.M. every day. During happy hour you can get amazing deals on the most popular entrees, appetizers, sandwiches, pizzas and drinks at Mattison’s. 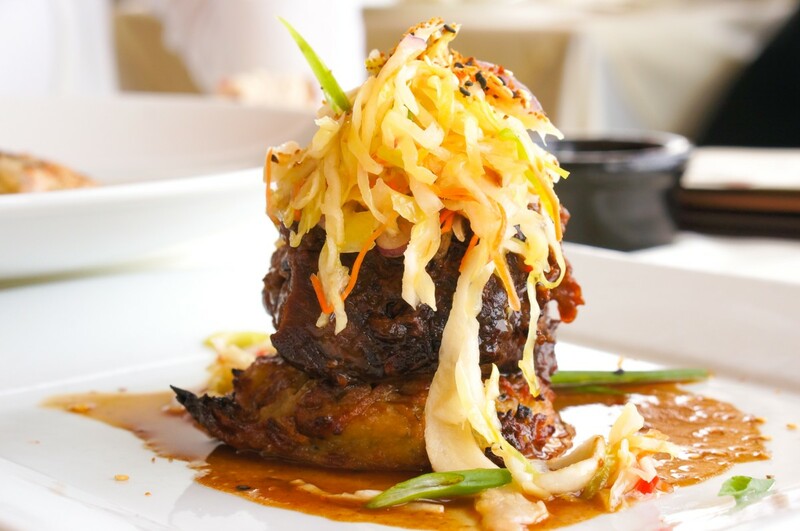 The sunset menu offers substantial discounts on a rotating selection of lunch and dinner entrees. The restaurant is open Monday through Friday from 11:30 a.m. to 9:00 p.m. and Saturday and Sunday for dinner service from 4:30 p.m. to 9:00 p.m., and be sure to call ahead for reservations as they can get busy!